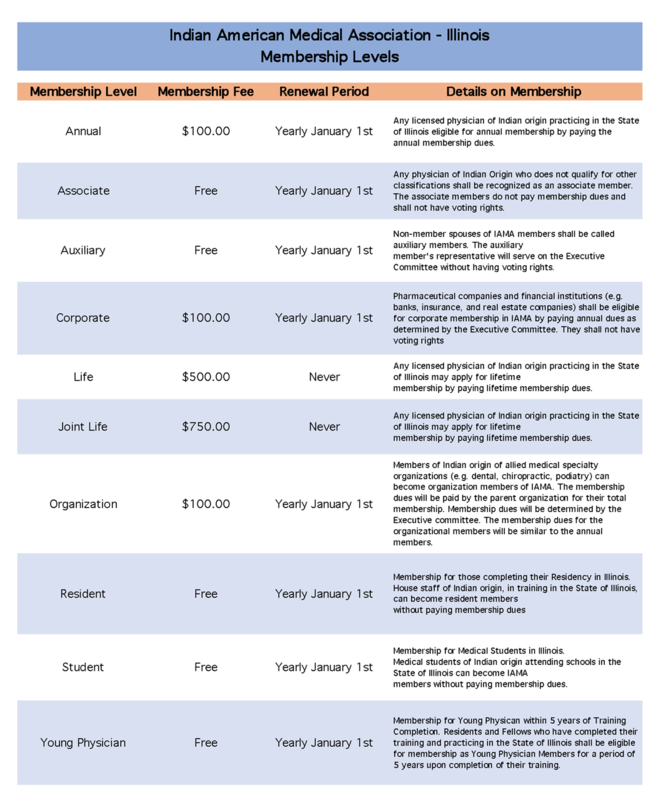 The IAMA Newsletter a monthly e-mail publication keeps our readers informed as to association activities, and issues of concern to our membership. Members enjoy multiple gala events and meetings each year. IAMA supports Advocacy Platform issues: 1) Increase medical school, residency and fellowship class sizes to combat anticipated physician shortage. 2) Protect 20/220 Pathway and keep medical school affordable. 3)Support IMG Visa Waivers. 4) Protect Medicare and Medicaid Physician Reimbursement 5) Support meaningful liability reform nationwide. 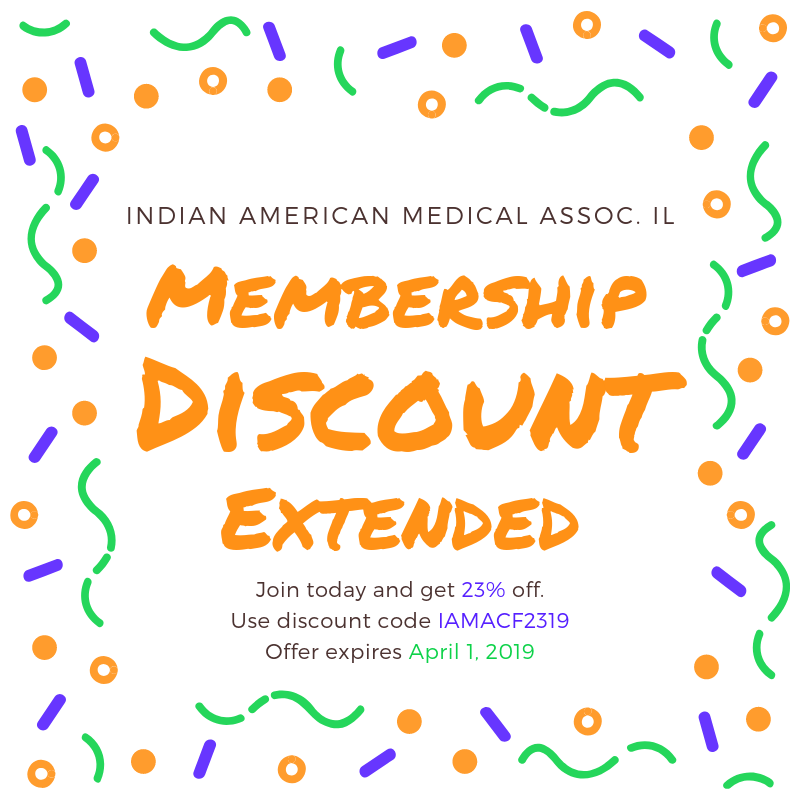 IAMA-IL is a non-profit professional organization comprised of Illinois Physicians of Indian Origin committed to professional excellence in quality patient care, education, and community healthcare.